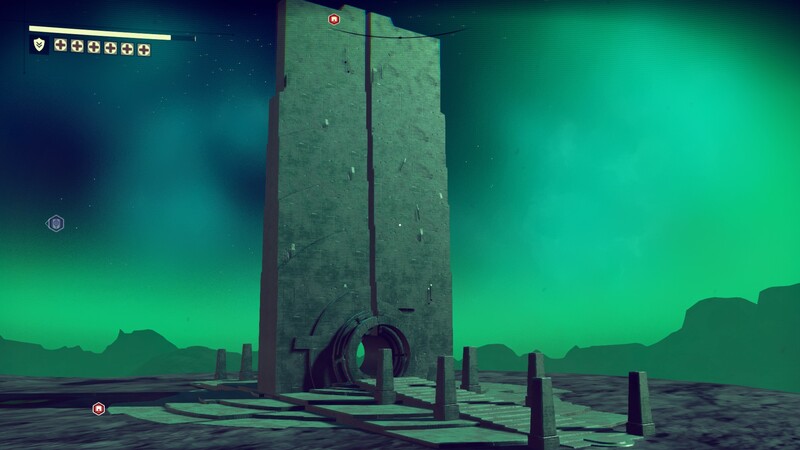 No Man’s Sky, the space exploration simulator with survival and action-adventure elements thrown in, is not remembered for a stellar launch. After many a delay, miscommunicated expectations, and endless hype, the game launched to middling reviews and disappointed gamers. But Hello Games did not abandon its passion project and has instead doubled down on providing more content to the existing player base. The most recent was the March Pathfinder update, which introduced ground vehicles in the game. Now, indicators are out, hinting that update 1.3 will be releasing next month. This is being communicated via an in-game alternate reality game (ARG in short) titled, Waking Titan, that has been playing out. To find out more about it, head on over to Reddit. One of the recent discoveries was a PDF file in which the developers state that they wanted to thank everyone who has contributed to the Mercury Subroutine. It teases that content in the form of “interesting artifacts” is in store for the players who have stuck around. Furthermore, it states that input from the Mercury Subroutine would pave the way for new experiences in version 1.3 of a familiar universe and that they look forward to the successful conclusion of this experiment. What do you think about this new patch? Would it interest you into revisiting the universe or is it a case of too little, too late?